Scream Queens is the kind of show that draws in the viewer because it is so ridiculous to the point that it’s borderline genius. Last season pokes fun at the Greek system, Millennials’ obsession with technology and poor choices horror movie characters often make. Recall Chanel Number Four’s death scene in the first episode. She exchanges texts with the Red Devil when he is right next to her and poses as a threat. Instead of calling for help when stabbed, Chanel Number Four tweets about her death. 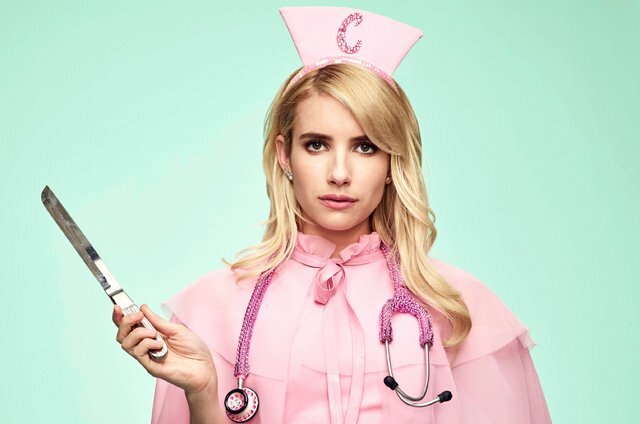 The new season of Scream Queens takes place in a hospital instead of Wallace University. Say goodbye to the Red Devil, because a new villain in town is terrorizing the hospital Dean Munsch decides to open. The first episode opens with a Halloween party at a hospital and a mysterious patient needing help. The doctors do not want to miss the party and decide to get rid of the patient by dumping him into the swamp outside the hospital. This scene exhibits similarities with the first episode of the first season. Even the patient’s wife is pregnant, luring the viewer to make an assumption that the culprit might be her child. Unlike the Red Devil, this villain leaves behind neon green goo from the swamp. 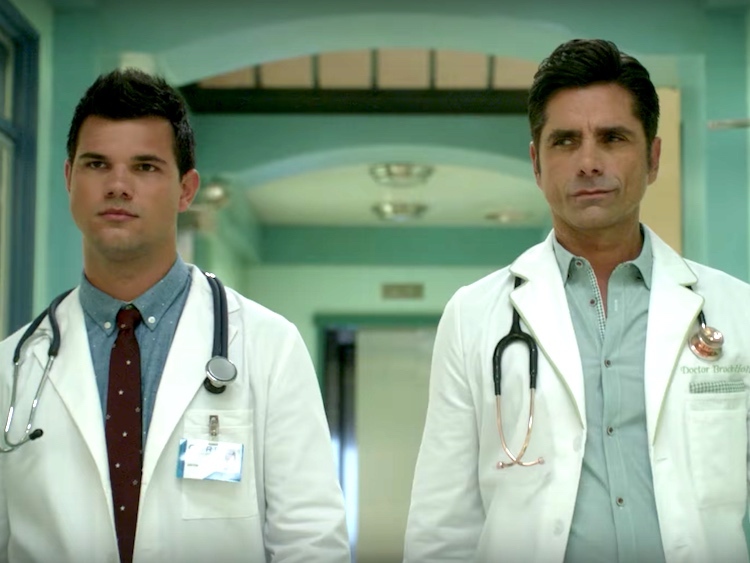 Besides the new villain, the first episode introduces two new characters: Dr. Brock Holt, played by John Stamos, and Dr. Cassidy Cascade, played by Taylor Lautner. Talk about making this season hotter than the last one with two eye candies instead of one. Characters returning this season to play a role in the hospital are Zayday, Dean Munsch, the Chanels, Denise Hemphill and possibly Hester judging by the trailers. Someone missing from the first episode, and one of the characters who made the show last season, is Chad Radwell. Hopefully Chad will appear in later episodes to rekindle his love with Denise Hemphill while bringing laughter to the viewers. The first episode of Season Two lacks the silliness and allure of the first episode of Season One. It felt like the producers were trying too hard to recreate the magic from the first season. That being said, it is only the first episode and the new characters appear to be promising by adding their own quirkiness to the bunch. Questions created by the first episode are what is up with Dr. Holt’s new hand, why is Dr. Cascade’s body cold, and is Ingrid, a new character, somehow related to the new villain? Let’s not forget the fun of figuring out who the villain is while watching these over-exaggerated characters deal with another crisis.